I thought I would share a couple of the meals I've had on Slimming World since I started. Although I don't take pictures of every meal, I feel these meals are some of my favorites so just wanted to show off what I've had while losing weight! Firstly, I had a jacket potato with cottage cheese mixed with chives, 2 slices of ham and a large beetroot salad. Secondly, I had Slimming World's famous mushy pea curry. Although this doesn't sound the most appealing, it is AMAZING! I added turkey for protein, served with wholegrain basmati rice and a side salad. Salt and Pepper wedges! What more can I say? 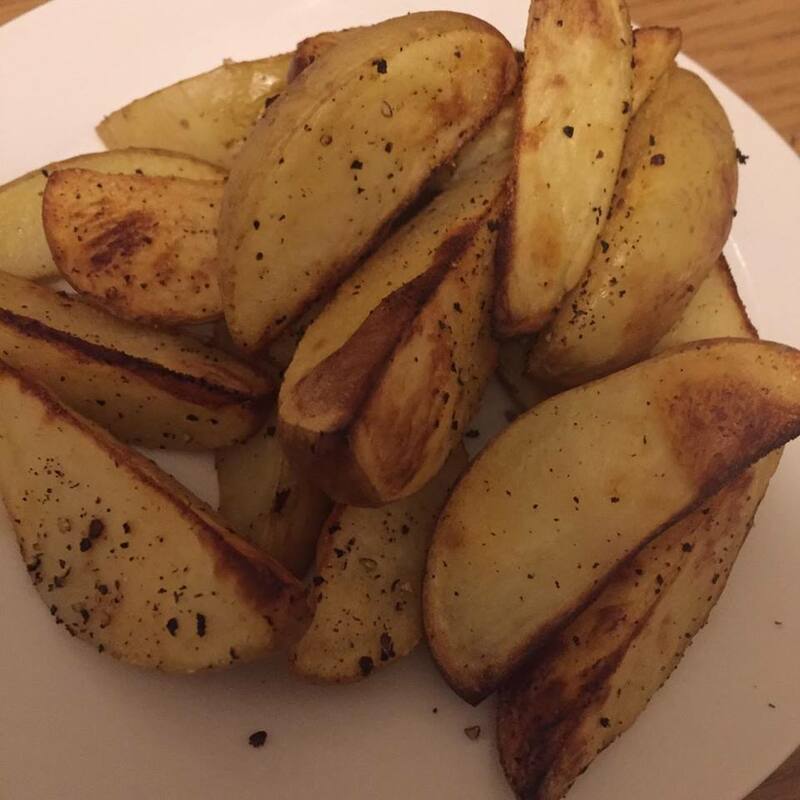 Cooked with Frylight, these wedges are amazing. 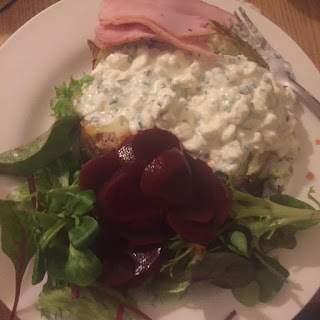 I have also tried adding various herbs and so far, haven't found a combination I don't like. Quorn sausages served with homemade mash, a lot of vegetables, homemade onion and mushroom gravy and little bit of cheese sauce on my cauliflower. 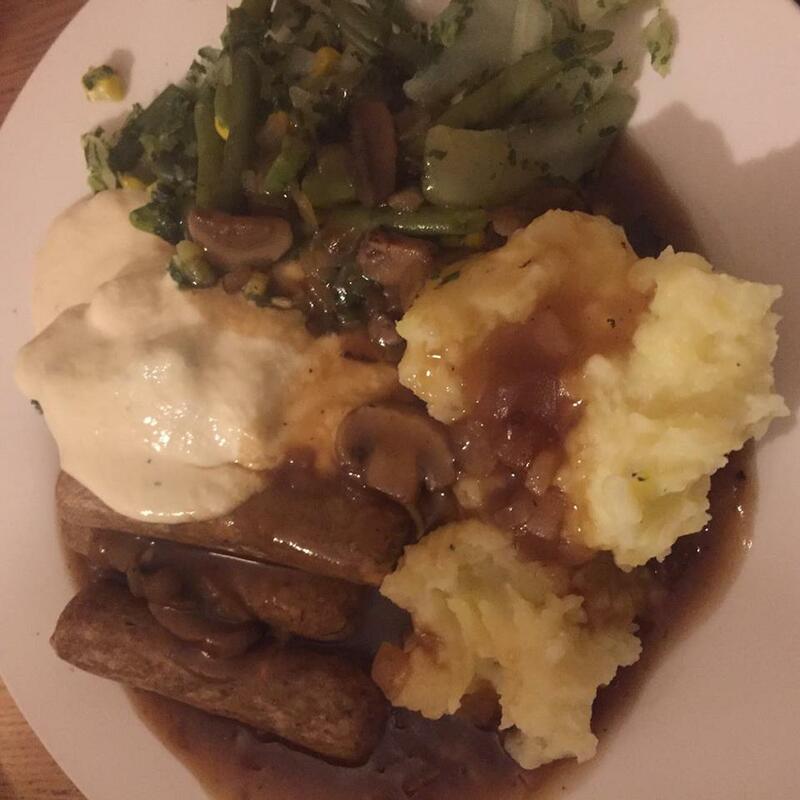 Although this meal wasn't completely syn free, the Quorn sausages were only 0.5 syns each and I used one of my HeA choices to make the cheese sauce. 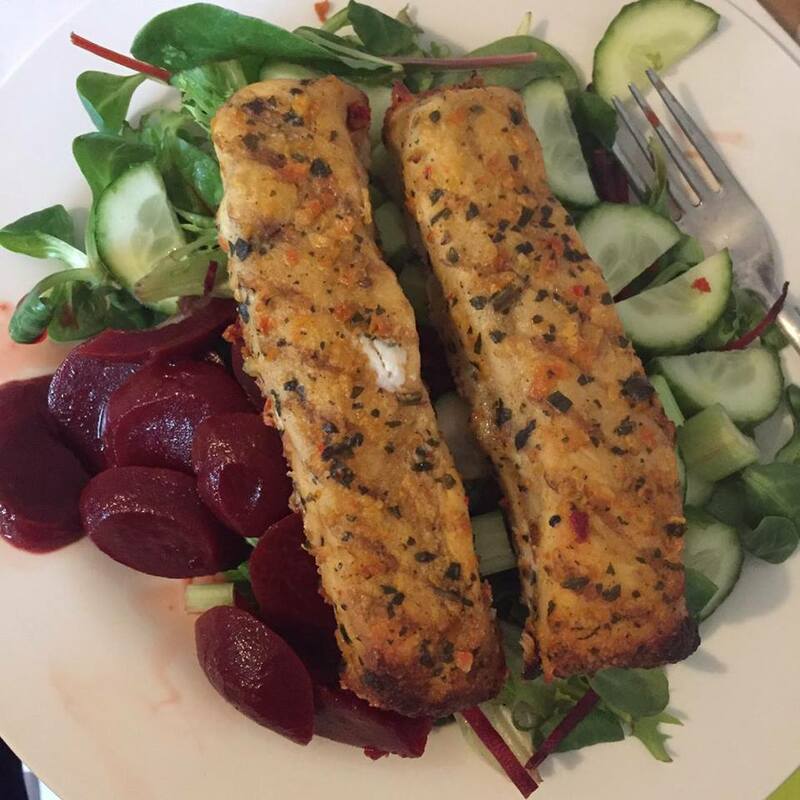 Birds Eye Inspirations Fish Chargrilled with Sunblushed Tomato, Basil and Oregano on a plate of beetroot, cucumber and celery salad. Yum! Finally, just to show it isn't all about salads, frozen berries mixed with natural fat free yoghurt. 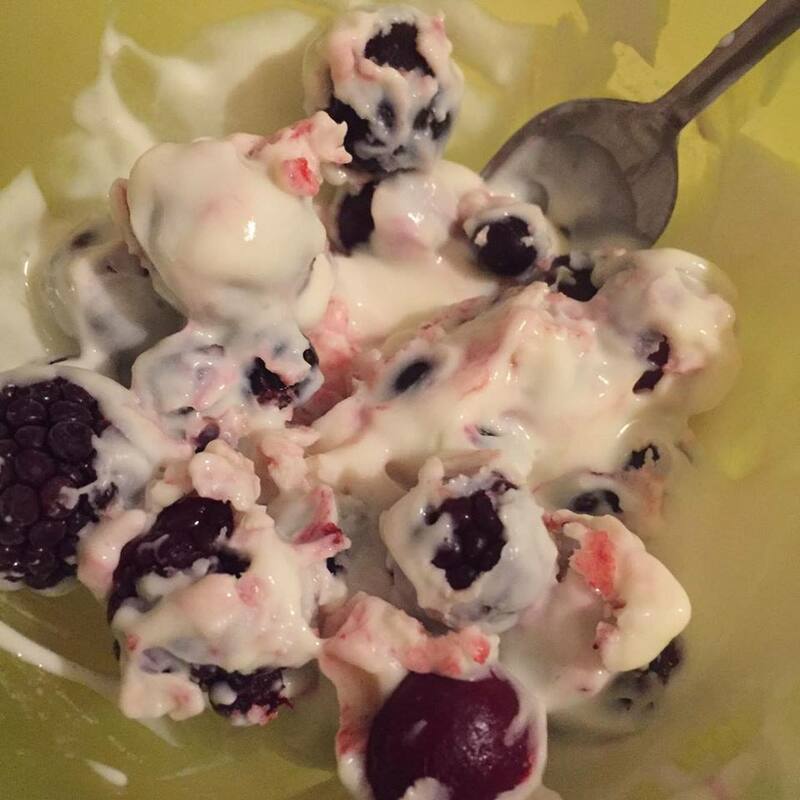 What is amazing about this combo is that the longer you leave the berries in the yoghurt, the more the yoghurt freezes and creates a completely syn free icecream alternative! 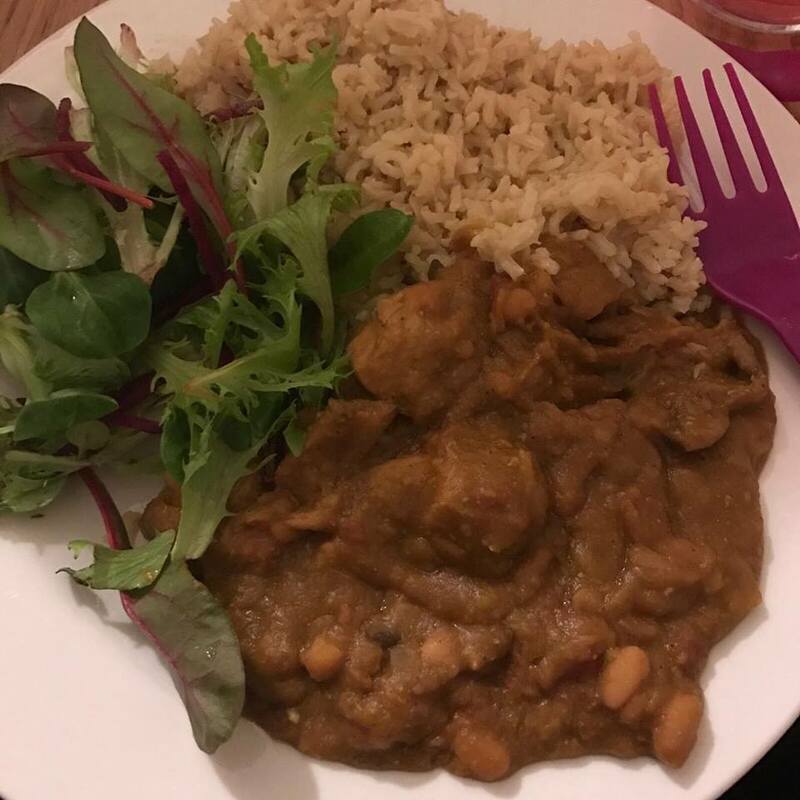 These are some of my favourite meals I've had so far on Slimming World.